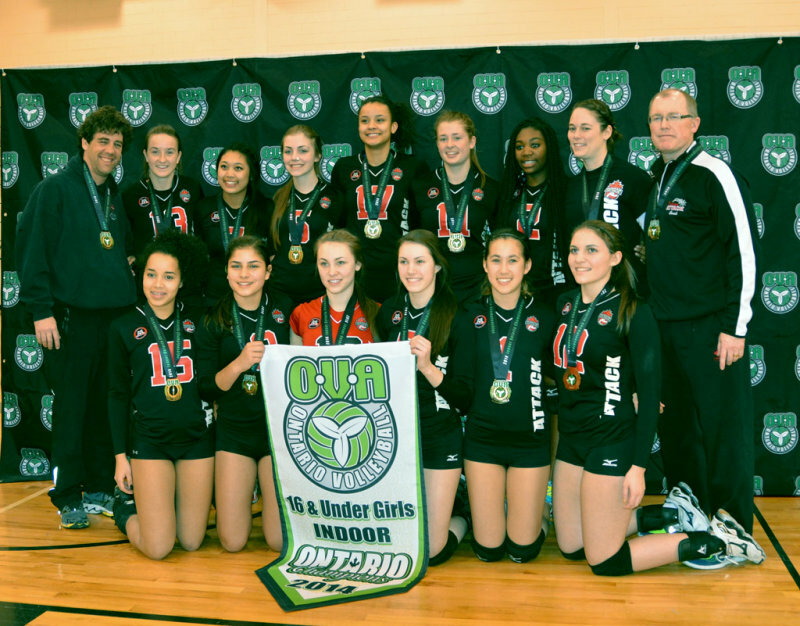 Congratulations to our Durham Attack girls 16U Black athletes and coaches Chris Williamson, Mel Allin and Scott Handley for winning the Tier 1 provincial Championship this past weekend! What a great way to kick off provincials for our club. Congratulationsalso go to 15U Flare for their Div. 2, Tier 2 Bronze medal and to the 16U Red and the 15U Havok on their excellent play and their seeding improvement, as both teams finished higher in the rankings at the end of the tournament. More importantly, Durham Attack teams represented themselves well, supporting each other and cheering together as a club. This is so important as the extra support often helps teams achieve their goals. Best of luck to our 13U and 14U teams as they head to to Waterloo for their Provincial Championships this weekend. It should be an exciting time.